We had the great pleasure of chatting with Adrienn, a young skipping rope artist from Hungary, who will be in town with Quidam, starting February 8th. We can't wait to see her act in person opening night. We still have a special discount code! **All our readers are winners! ChiIL Mama's also got a cool 25% off discount on non-peak performances on all price levels using the promo code “CHILL”. Non-peak performances are all performances except for those on Friday and Saturday. Shows are at Sears Centre Arena in Hoffman Estates. Click here for full show details and a schedule of area pre-show appearances at suburban Whole Foods locations. Here is Adrienn in action. Come see her and all the world class circus artists in Cirque du Soleil's Quidam. Recommended for families with kids 5 and up. 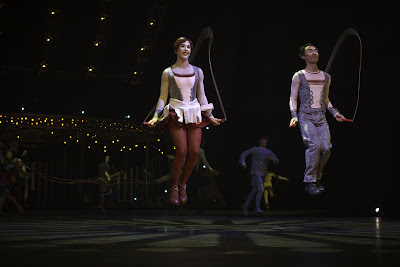 Quidam makes a great "date night" too! 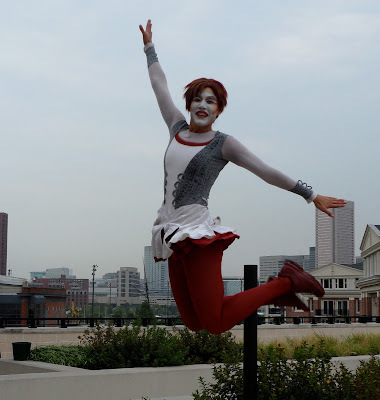 Also check out ChiIL Mama's Original Interview with Quidam's Publicist, Jessica by clicking right here. We'll have a photo filled recap after opening night.